I can't believe it has been already 11 years since I have received my first vExpert award from VMware. Time is the only variable you can't influence unless having a way back machine -:). 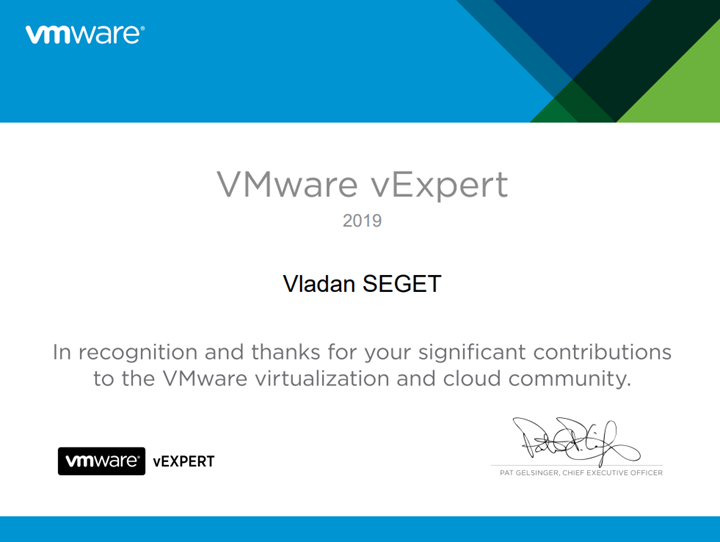 I'm very honored again being awarded a vExpert by VMware. Thanks to Corey Romero and the team for the award. There are some projects this year which we are working on and I wanted to share. One of them is a new Free VCP Study Guide which will help students to pass their VCP certification. Yes, it's been just a few weeks ago we have started to work again on a free VCP Study Guide. This time we focusing again on the latest VCP-DCV certification exam called VCP-DCV 2019. You can find the work in progress page here – VCP6.7-DCV Study Guide. Note: You must be VCP5, or VCP6. If, not, you must sit a class and no “Delta” exam. This “VCP6.7-DCV Study Guide” page is based on the official VMware blueprint has 41 Objectives compared to VCP6.5-DCV Study Guide has only 31 Objectives to cover. For those who do not know vExpert program, you can have a look at the vExpert page here at VMware. The VMware vExpert program is VMware's global evangelism and advocacy program. The program is designed to put VMware's marketing resources towards your advocacy efforts. Promotion of your articles, exposure at our global events, co-op advertising, traffic analysis, and early access to beta programs and VMware's roadmap. The awards are for individuals, not companies, and last for one year. Employees of both customers and partners can receive the awards. In the application, we consider various community activities from the previous year as well as the current year's (only for 2nd half applications) activities in determining who gets awards. We look to see that not only were you active but are still active in the path you chose to apply for. If you are interested in becoming a vExpert the criteria is simple. We are looking for IT Professionals who are sharing their VMware knowledge and contributing that back to the community. The term “giving back” is defined as going above and beyond your day job. There are several ways to share your knowledge and engage with the community. Some of those activities are blogging, book authoring, magazine articles, CloudCred task writing, active in facebook groups, forum (VMTN as well as other non VMware) platforms, public speaking, VMUG leadership, videos and so on. 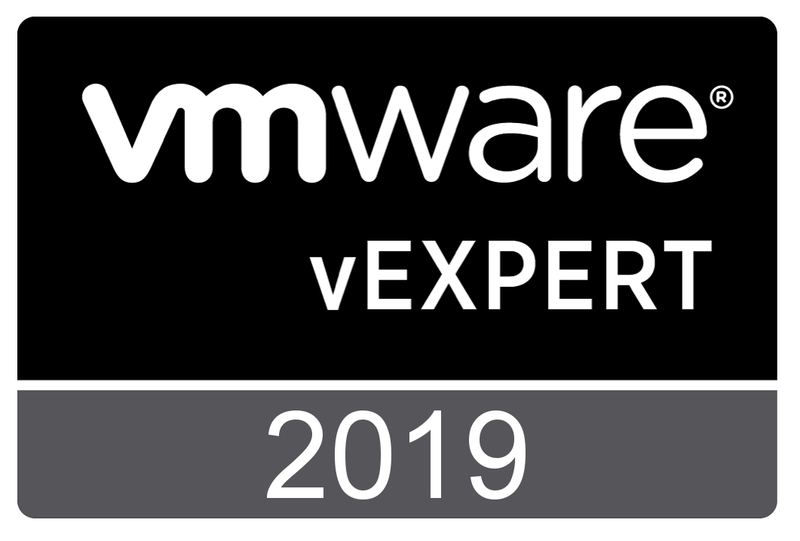 A vExpert award is one of the most popular industry awards, along with Veeam Vanguard, Microsoft MVP or Cisco Champion. We're posting quite often on this blog. There are some posts which are more popular then others. Here is a list of recently popular blog posts. What is VMware Cloud Foundation? What is VMware vCenter Convergence Tool? What is VMware Platform Service Controller (PSC)? Congrats my dear friend Vladan! You are one of the most actives advocates of VMware. Thanks for all your support to the #vCommunity!